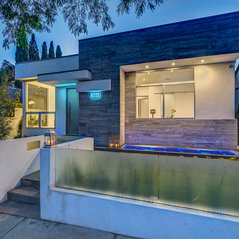 Stabile Architecture|Construction is a Los Angeles–based full service design-build firm specializing in residential and commercial projects with a consistent carry-through from creative conceptual proposals to smart construction detailing and water-wise landscaping. This integrated tactic is carried through by an agile team that is tailored to the specific challenges of each project, ensuring optimal use of resources coherent with enduring site-specific principles: light, space, structure, as well as authenticity of materials and vegetation. 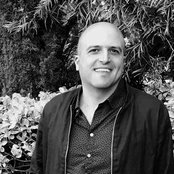 The principal architect and builder, Livio Stabile, is an Italian architect with 10 years’ experience in high-end Los Angeles residential and commercial markets, after having completed his architectural degree in Rome and traveled extensively in Europe. His approach combines a timeless Italian design sensibility with a fascination for twenty-first century innovation across various scales. 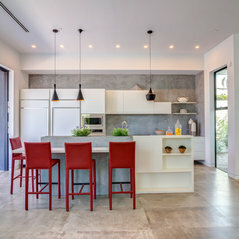 He accents collaborative communication, listening and responding to the client’s needs and aspirations through every phase of design and construction, seeing projects through to the finishing touches with integrity and commitment.